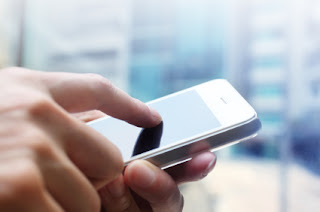 Across the board, mobile is becoming a priority in business strategies and the importance of mobile in Commercial Real Estate needs to be recognized as well. As of December 2012, 87% of Americans own a cell phone and 45% have a smartphone (Pew Internet). Furthermore, recent findings have found that this trend continues to make its presence in the Commercial Real Estate industry. According to a 2013 report by the Real Estate Marketing Insider, 2012 showed a 61% increase in mobile usage among commercial industry professional alone. The report mentioned above also stated that mobile visits increased 225% as a total share of website visits in 2012. CRE websites can now expect that nearly one tenth of their traffic from mobile devices. As a CRE professional, you need to recognize that mobile will increasingly be the way that people collect information online about you and your organization. According to a Google study focused on mobile, 52% of users said a bad mobile experience made them less likely to engage with a company. This means that you need to make sure that your site is optimized for a mobile phone. Here at Block Real Estate Services, we just launched our mobile site this week (break out your smartphone and click here to give it a go!). To tackle a mobile optimized site, you first need to determine what information your visitors are looking for and what goal they have in mind when visiting your site. Then, you need to make sure that your information displays clearly on a smartphone with large text that allows visitors to find the information they are looking for in two or three clicks. 69% of users desire bigger buttons that are friendlier to their fumbling fingers, as found in the Google mobile study mentioned above. The idea is that you design a mobile site so that your visitor never has to do a "pinch and zoom" to get information or make contact with you. Commercial real estate clients have been perceived as traditionally older and less tech-savvy. However, this is shifting in the new digital age. We encourage you to explore your site on your smartphone and determine if you are creating the easiest avenue for clients to gather information and reach you via their mobile device. If not, then 2013 is definitely the year to sit down with your team and determine how mobile will work into your business strategy. Nice infomation here, please keep sharing information.